A debate has been raging on for nearly a year pitting the Communication Authority Kenya and the ICT Ministry against Safaricom over what is seen as market dominance by the telecommunications giant . The Communication Authority of Kenya has been working on formulating regulations that will give it powers to declare any firm with more than 50% of the market a dominant player. The debate also drew in the Competition Authority of Kenya, which stated that Safaricom is not abusing its dominance. The power to declare a player dominant is however vested in the ministry or CA. The debate has also gained traction following the forwarding of regulations to parliament in the form of a bill seeking to ensure that smaller players in the industry have an equal playing field. The clarion call for the regulation has been championed by Bharti Airtel, which is the second largest player in the Kenyan market. Safaricom which controls 67.4 per cent of Kenya’s telecoms market argues that the legislation is meant to hurt its growth. Safaricom also sees being regulated that way as a means of “punishing” it for innovation. 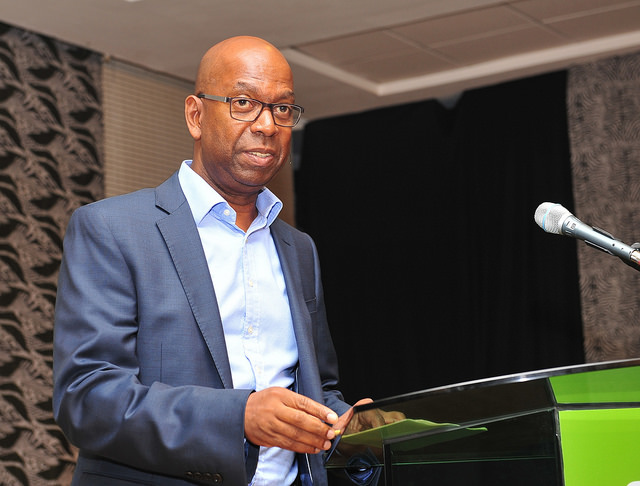 Safaricom CEO Bob Collymore has previously lashed out at the proposals saying the firm rightfully earned its position in the market through innovation and continued investment in network infrastructure. Global best practices demand a review of an industry to determine if there are high barriers of entry, if the dominant position is expected to persist indefinitely and whether the dominant player is abusing the power that comes with the position. In a meeting with the Senate ICT Committee the CEO reaffirmed this position by stating that Safaricom was not abusing its position hence no need to impose the sanctions on the company arguing that this would hurt its plans to become a global brand. The restrictions would offer the Communication Authority say in how tariffs and pricing is effected. The Kenyan Parliament is yet to debate the said legislation.